Get access to key landmarks to see where all the behind-the-scenes action takes place on Race Day. 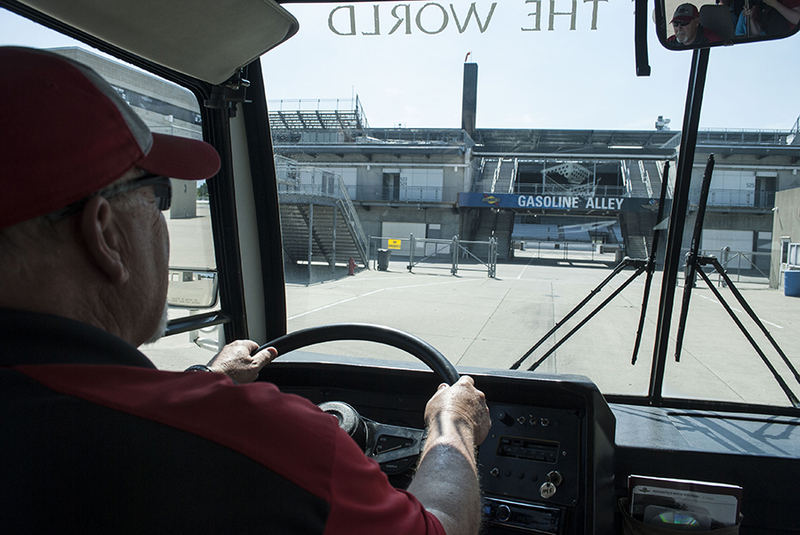 This tour takes you to Pagoda Plaza with stops through Gasoline Alley. This tour also includes a self-guided tour of the Museum’s featured exhibits, the Tony Hulman Theatre, and permanent displays of winning Indy 500 cars and racing memorabilia. Click here to view tour schedules or call the Museum at 317-492-6784 for available tour dates and times.